← Quick Tip: How to shutdown Windows 8 even faster! I have been encountering a number of these lately, a person with a laptop wants to reinstall Windows 7, something goes wrong, either their recovery partition is damaged or they don’t have any recovery disc. Thankfully, all machines that ship with Windows 7 come with a genuine proof of license, the COA sticker, located sometimes at the bottom of a laptop or in the battery compartment (if you are using a desktop computer you can look at the side or top. 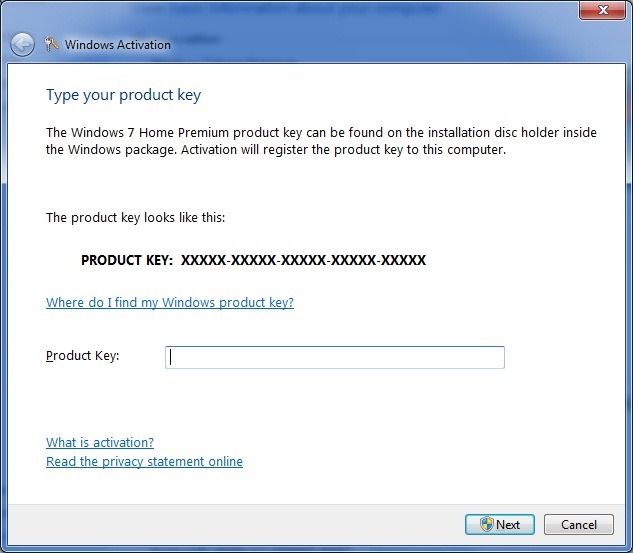 What this means is, you can reinstall Windows 7, using the corresponding edition Windows 7 retail disc and use the product key located on the COA sticker to reactivate it. For example, if you bought a laptop that came with Windows 7 Home Premium OEM and you would like to reinstall Windows 7 but have not way of doing so, you can use a retail disc, whether it be a full or upgrade version Windows 7 Home Premium disc. Once you have installed it, all you need to do is change the product key located on the Certificate of Authenticity (COA). Lets take a look at how to do that. Scroll down to Windows activation. You will notice it displays a time until Activation but be completed. Also the Product ID indicates it is using a default key, this is only for the 30 day grace period allowed until you must activate Windows 7. Wait while Windows attempts to activate. If all goes well, within a minute, you should see this screen. Notice Windows 7 now displays OEM within the Product ID to indicate the product channel it is licensed from. Please note, this also works with Windows Vista if you are still running that version. 3) Select your ‘Country’ from the list. 4) Choose the ‘Phone Activation’ option. I would always do just the last part (phone) and wouldn’t even try the OEM key with WIN XP. That rarely worked, but it’s nice that MS is very understanding when you have to re-install your OS. “Yes maam, it’s only on one machine. Of course it’s a legal copy. No I would not like to give you my information, just give me my key!” MS Lady, “Sir, if you are looking for a free OS, I’d recommend Ubuntu. When you’ve had enough buy a copy of Windows 8, have a nice day!” OK that last part never happened, but it could work for most people… hmmm…. “…buy a copy of Windows 8..” except you can’t buy a retail copy of Win8 – only upgrades. I spent 1 1/2 hours on the phone yesterday trying. I am in exactly this situation – dead HDD, no recovery discs. MS will not sell retail Win8 – you have to have a base OS to upgrade from. Also, they no longer sell Win7. You _might_ be able to buy a store copy – I can’t find one in New Zealand. Thankfully, I found this thread and the COA is still legible on the laptop. I have a Windows 8 retail disc. Bought it at Fry’s. I would just download Windows 8.1 with Update 1 using the Media Creation Tool and use your product key to install it. All versions are available AFAIK. Legal. Yeah you can. Just click the Start button and type “slui.exe 3” (without quotes) and enter your license key. 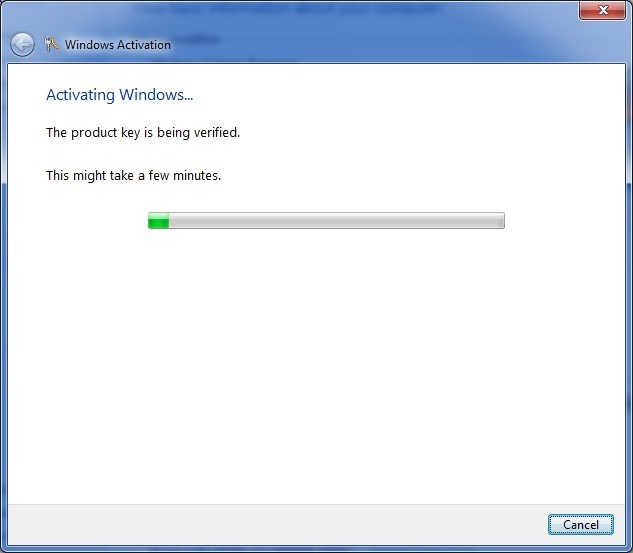 Wasted hours trying to activate windows on my old laptop after a reinstall. Wish I had found your site sooner. Worked like a charm…Sincere Thanks!